Recently we had an issue that called into the use of checking to see if some ports were open and listening on our servers. Naturally, we could have used a tool such as portqry.exe to gather this information. However, you can only use it on one system at a time which meant either incorporating it with Powershell and call the .exe when needed. While a good idea, I wanted to build something that was free of any extra tools and just rely on Powershell itself to complete this task. After doing some research and looking some examples online, I found that this could in fact be easily done. Initially I was going to have it scan for TCP ports, but decided that checking UDP ports would be a good idea as well. My goal was to not only be able to scan multiple hosts, but to also scan multiple ports and report back which ones were open and which were closed. Using the System.Net.Sockets namespace, I was able to create an object that I could then use to test both TCP and UDP ports. I can then use the .BeginConnect() method and plug in the hostname and the port that will be tested. This link explains the System.Threading.ManalResetEvent that I am using for the timeout. The rest of the script uses the Add-Member cmdlet to add items to the created PSObject that holds all of the information for the report. I also make use of string manipulation such as Split(), Replace() and TrimStart() to make the error messages more readable in the report. I decided to run the port scan against my local domain controller and google.com to show that some ports are open and others are not. In the case of DC1, only TCP port 53 (DNS) was open and at google.com, TCP ports 80 (HTTP) and 443 (HTTPS) were open. My script is also available at the Script Repository. 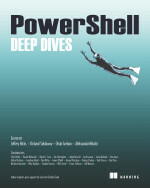 This entry was posted in powershell, scripts and tagged port, port scan, Powershell, report, security. Bookmark the permalink. I’m a newbie to this, and I can’t get this to work. I’m trying to test our firewall by running a port-scan from a web frontend, to the sql server. When I try to run this, nothing happens. What do I have to do? How are you running the code? Can you paste the snippet here? test-port has helped me greatly.I hopeyou dont mind but I’ve included the function in a script that I’ve posted on my own blog. @the comment above: I was of the same opinion being a long time NMAP user and used NMAP for just this but in the end the test-port function was alot better fit for what I was doing. You’e welcome! Glad that you found a good use for it! 1. Tried to export the result to .csv/xls but i couldnot able to make it any idea how to export the result? this looks really great. I’m new to powershell and it’s a little over my head. and then I’m hopeless lost. Any recommendations? Hi Jody, thanks for the comment! By design, the Test-Port function requires a computer and port name. If one is not given, there will be a prompt for both of these. For instance this example shows me adding my server (DC1) and ports 80 and 443 after each prompt. I’ve been using your function for a week now, and I’m really happy with it. Unfortunately, I believe there is a issue with -UDP. Indeed, I’m trying to test Port 137 and Port 138 UDP. The server I’m trying to test is disconnected from the network, but the test returns True as if the ports were open. Thank you for bringing this bug to my attention. I will check this out and post an update to this code. I’ve updated the code on the script repository to make the UDP port checking more accurate. Couldn’t you just use the Windows port of NMAP ? 2) In this solution you have everything in objects which is big advantage over text output from nmap.